Add breakfast to your reservation for just 10€! Sercotel Ámister Art Hotel takes care of your health! Book now and get the bicycle service! Don't wait for other people to tell you about it! 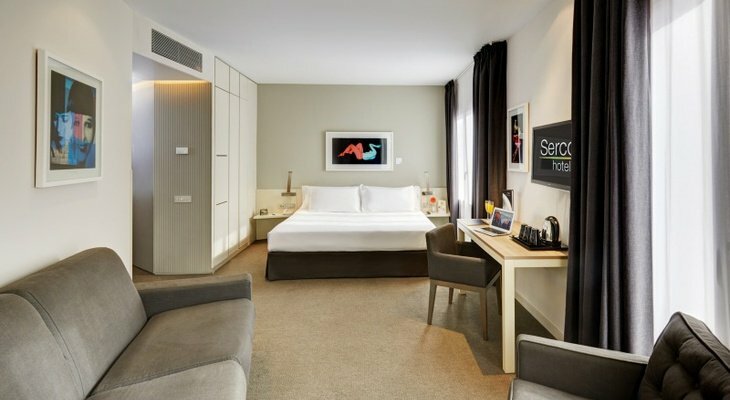 Sercotel Ámister Art Hotel is an exclusive, elegant and trend setting hotel in Barcelona city near Sants train station. 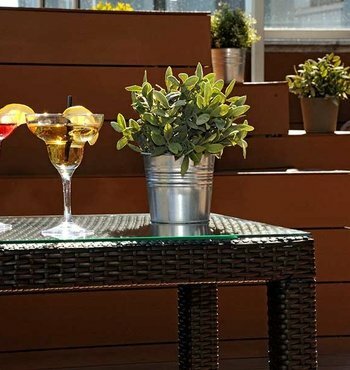 The hotel is very well connected: it is a 7-minute walk from Hospital Clínic metro station and a 15-minute walk from Sants Estació, one of the most relevant train stations in the city. Facing the hotel there is a bus stop, with buses that go to Paseo de Gracia (main commercial street in Barcelona) or to the Camp Nou (the Football Club Barcelona stadium). It is located at Av. 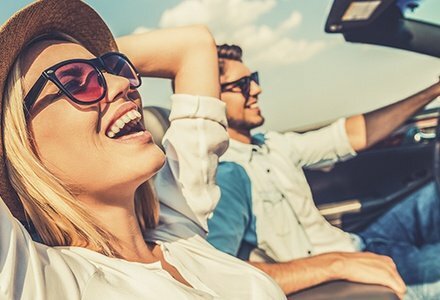 Roma 93-95 in Barcelona, ​​a 5-minute walk from Plaza España, a 20-minute walk from Casa Batlló, and a 25-minutes walk from Plaza Cataluña; the ideal location for recreation and tourism getaways. The hotel is also perfect for business trips, because it has three function rooms and it is near the Exhibitions and Conventions Center (Fira de Barcelona). 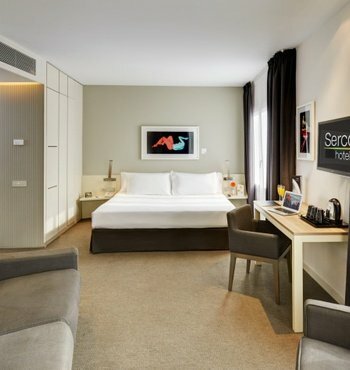 After exploring the Modernist Route or ambling along Paseo de Gracia and Rambla Cataluña, you will be able to live a unique cultural experience at Sercotel Ámister Art Hotel. 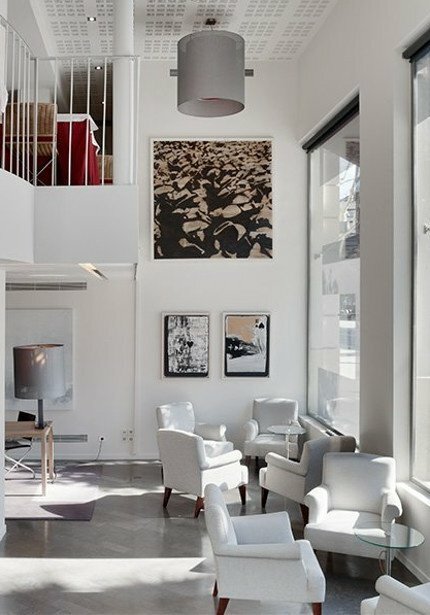 The interior of this hotel in Barcelona is decorated with works of contemporary art. 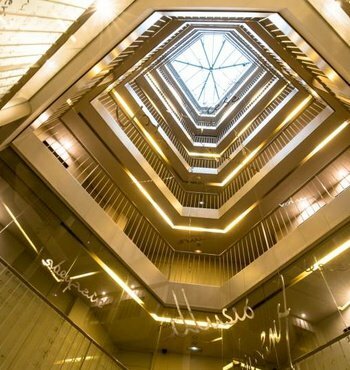 Each floor of the hotel is fitted out with artwork created by different artists, who specialize in painting, engraving, photography, collage or video. 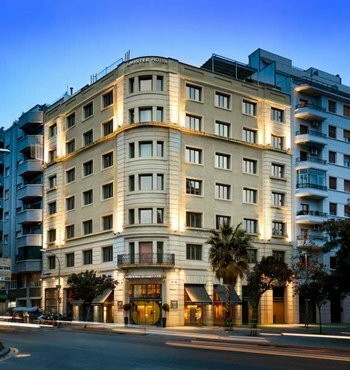 Sercotel Ámister Art Hotel features 59 rooms equipped with all the amenities. Enjoy this hotel in Barcelona with swimming pool, terrace, gym, cafeteria and many other services. 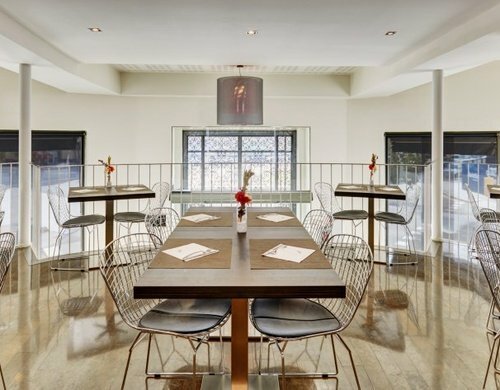 If you need to celebrate or hold an event, contact us for more information. We have three function rooms with free WIFI connection and all the necessary technical and audiovisual equipment. 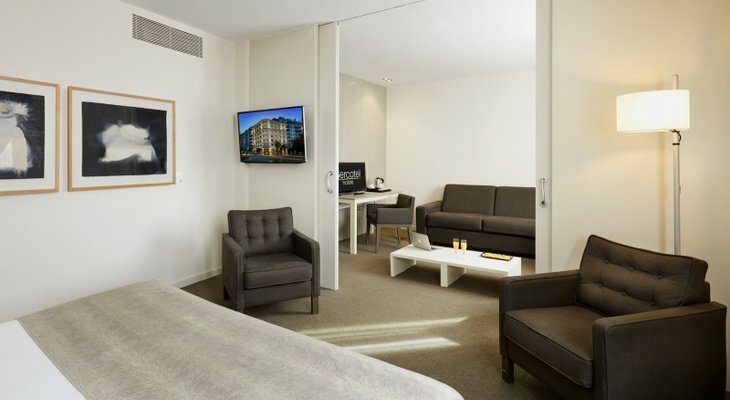 Discover our hotel in Barcelona, ideal for family and business trips, and enjoy your stay in the city. 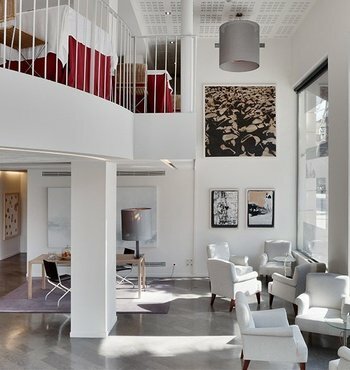 Sercotel Ámister Art Hotel is a hotel-museum in Barcelona near Sants train station. 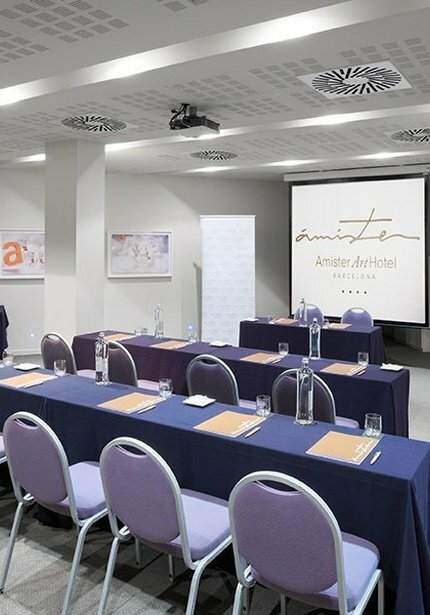 Sercotel Ámister Art Hotel has 3 meeting rooms with Wifi and audiovisual equipment for all types of events. 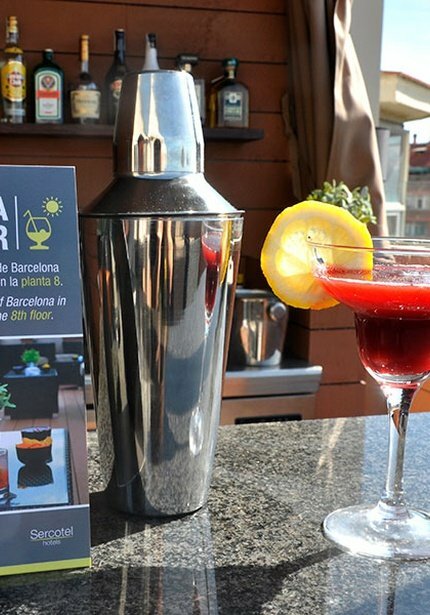 Take a look at the Sercotel Ámister Art Hotel terrace and discover this hotel in Barcelona with swimming pool.